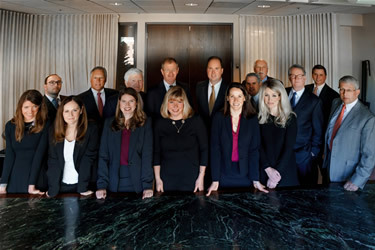 Martin, Magnuson, McCarthy & Kenney is committed to protecting our clients and providing exceptional representation. Our attorneys possess extensive litigation and appellate experience and have significantly impacted the development of tort law in Massachusetts. In the last five years, we have obtained more than 100 jury verdicts in favor of our clients in high exposure cases involving death, severe brain damage and catastrophic personal injuries. We have represented clients on appeal before the Supreme Judicial Court of Massachusetts and the Massachusetts Court of Appeals. We are dedicated to providing exceptional legal representation to protect our clients. Due to the depth of our trial practice, members of our firm have been requested to serve as arbitrator or mediator by private litigants to assist in alternative dispute resolution. Our experience, commitment to quality legal representation and proven results distinguish Martin, Magnuson, McCarthy & Kenney. We are dedicated to pursuing this commitment for all of our clients.